Babypalooza Live! is the must-attend baby and maternity conference for new, expectant, and hopeful parents. Becoming a parent can be overwhelming, especially to a first-time parent. Babypalooza is designed to help equip you and connect you to local resources. In on day under one roof, you will have the opportunity to connect with your local health system about women’s health and pregnancy issues, with financial representatives about college savings plans, with area support groups and lactation consultants. You will be able to start, research, and add products to your Baby Registry. And enjoy interactive events like the very popular Baby Shower Bingo. Unlike other baby shows that charge for admission, Babypalooza is 100% FREE. To attend simply register AND download the Babypalooza APP. Use the app now to start your baby registry and learn from other moms and other experts. Use the app at Babypalooza LIVE to shop, get information from exhibitors, and play games! 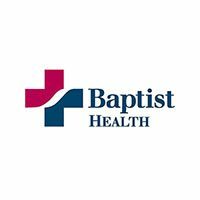 Baptist Hospital and Jackson Hospital will have health experts on-hand providing pre and postnatal health information. Start your baby registry and get to see, demonstrate, and even win products from the Babypalooza baby registry picks. Baby photographers, maternity products, household services, mom makers, and trunk shows. Connect to local boutiques. Photo booths, daddy olympics, 3D/4D Ultrasound, and other fun events makes Babypalooza a day of fun. How much does it cost to attend Babypalooza LIVE? Thanks to the support from the sponsors listed above Babypalooza LIVE! is 100% free! To attend simply register and download the app. Can I bring my friends and family? Yes, only one parent needs to register but the entire family is welcomed. In fact, there will be activities just for dad and even seminars for grandparents. Babypalooza LIVE! is for parents but children are welcomed. No Babypalooza LIVE! is an event where you can come and go. We recommend you register for the seminars you want to attend and then plan at least an hour to visit with exhibitors you would like to see. Yes, there will be sandwiches, drinks, and snacks for purchase in the food court. Yes, we would love to have you on our event day team. To apply please just complete the Event Team form. My business wants to exhibit where can I get vendor information? To exhibit at Babypalooza LIVE! please complete the exhibitor application. Babypalooza LIVE! is not in my city how can get one? We are constantly adding cities as requested. To have Babypalooza come to your city please complete the Babypalooza LIVE! petition form. What is the Babypalooza APP? The Babypalooza app takes the information and resources that parents love connecting to at the show and puts it in the palm of your hands. You will be able to read articles from other moms, get information from health experts, research and add products to your baby registry. Download it here! What is the Mommy Nation? The Babypalooza Mommy Nation is where you are able to connect to local people and resources and get information based on your personal preferences. Sign-up for the MN newsletter and get e-mails with information just for your state of mommyhood.